$10, 9pm. All proceeds collected at the door will go directly to the Alzheimer’s Association of Northeastern New York. 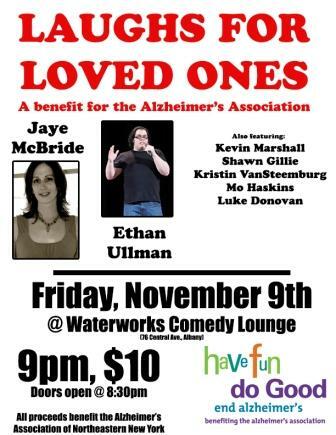 * Note: going to this show will not actually eradicate Alzheimer’s.